Design and develop a responsive website for UX/web design business that showcases a broad portfolio of work on all device types and sizes. The goal was to create a colorful design and to keep the text to a minimum to showcase the work. 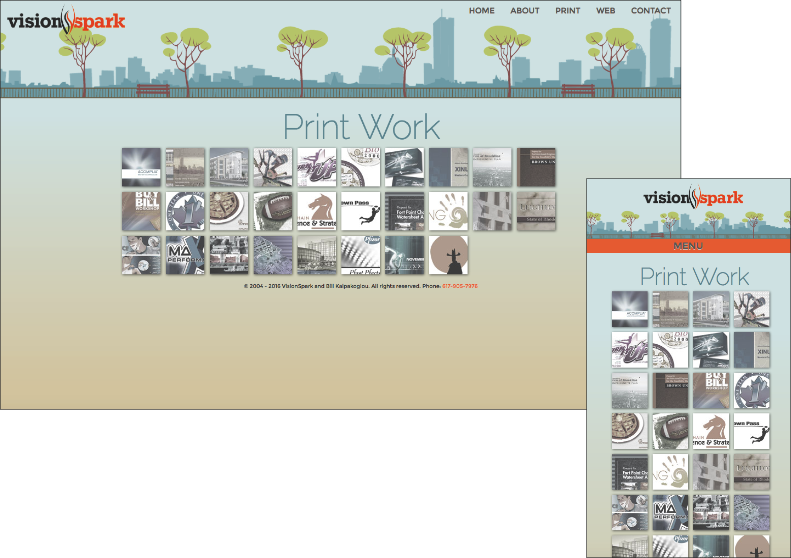 The site could live entirely on one parallax horizontal-scrolling page that's easy and fun to navigate. The result was a fun site with custom illustrations and icons that's easy to navigate. 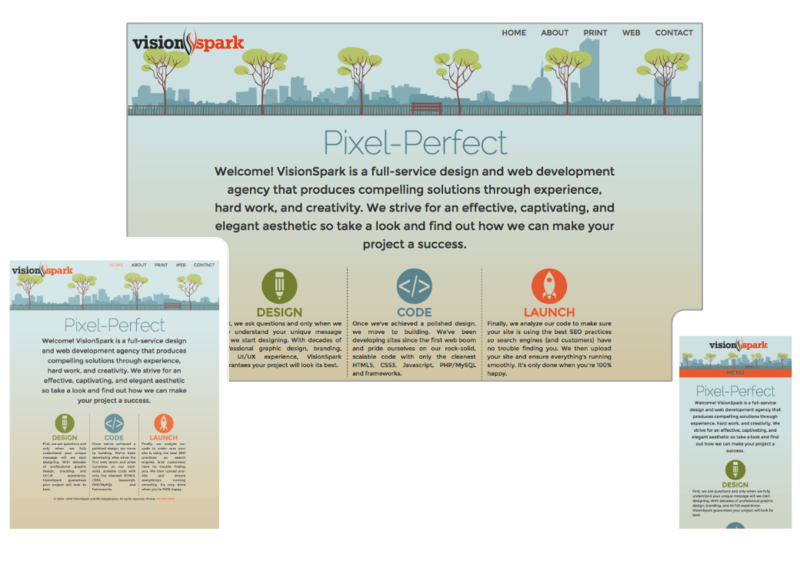 Fully responsive with the same experience on any device, it generated great interest in VisionSpark and the feedback was wonderful.